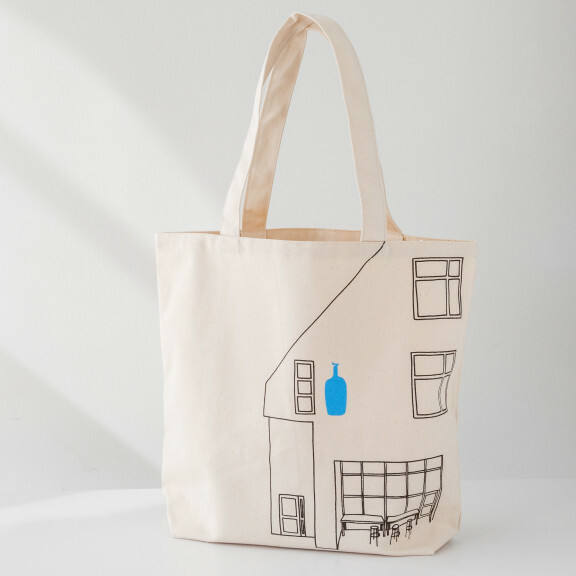 This 100% organic cotton tote is made in the USA, printed and sewn in San Francisco, and adorned with one of our iconic cafes in Tokyo in the Nakameguro neighborhood. The triangular industrial building once housed an electrical-parts factory, but is now home to our bustling cafe, tasting room, and coffee workshop. We recommend the tote for any adventure, but loaded with your favorite books, you can’t find a better cafe companion.